Café Sydney, one of Sydney’s most famous café, is located on the 5th floor of the Customs House building right in the middle of the Circular Quay. The restaurant is divided into 2 sections; bar counter and dining section. Reservations are highly recommended for both lunch and dinner. If you want to maximize your dining experience at Café Sydney, I totally recommend you to book for balcony seats. Balcony seats allow you to see the entire Circular Quay which has a very spectacular scenery. The service was subpar. As for the wine list, they have very good selections from Aussie winery to French winery. They picked many fabulous dessert wines from Southern Australia and NSW like Noble One and Mount Horrock. Also the price for wine by glass is very friendly. To kick off my hunger after my bloody tough exams, I ordered three appetizers, one main dish and two desserts. 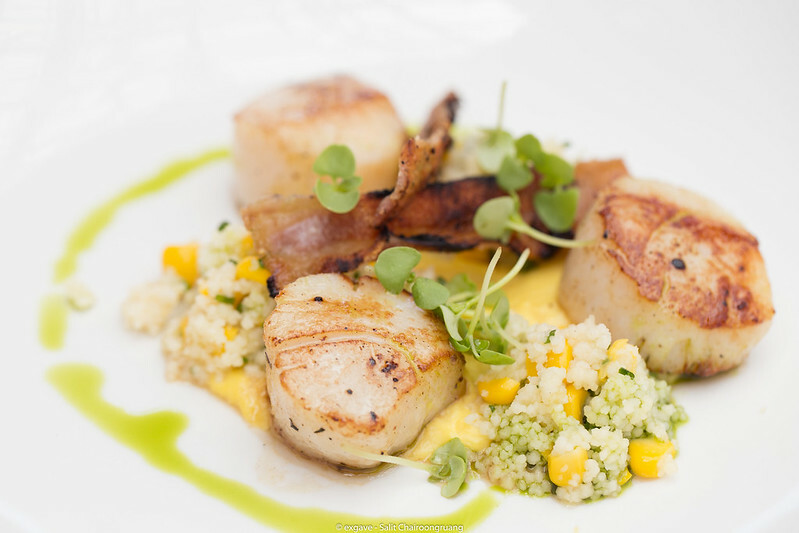 So let’s begin with the appetizers, the first appetizer is seared scallops, skara bacon, corn puree, faro and basil salsa. Corn puree surprisingly matched with scallops. Next one was a special dish of the day. 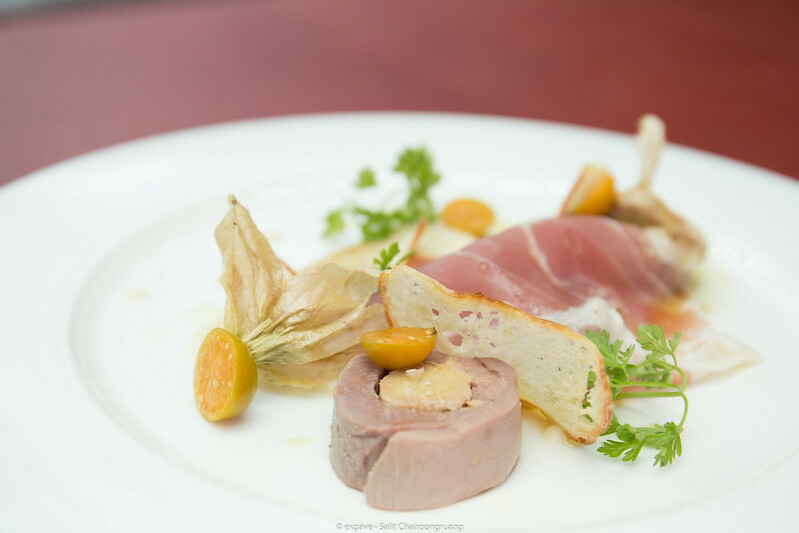 It was foie gras wrapped with duck breast served with gooseberries and aged ham. It might be the first solid foie gras I’ve ever seen in Australia. It is rare to see foie grass in pieces not pate in Australia. Gooseberries balanced out the fatty and creamy foie gras well. 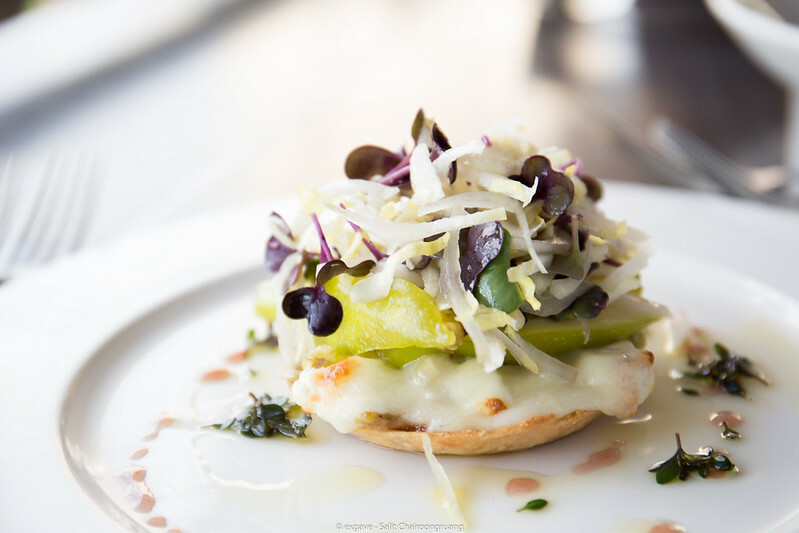 Here comes to the last appetizer, Hunter Valley goat cheese tart, fresh fig, caramelized endive, onion and lemon thyme dressing was served. The dough was crisp and tasty. There was only one point that ruined the whole plate, and that was lemon thyme dressing which overwhelmed the flavor of goat cheese – the main ingredient – otherwise, it would be a very fine dish. 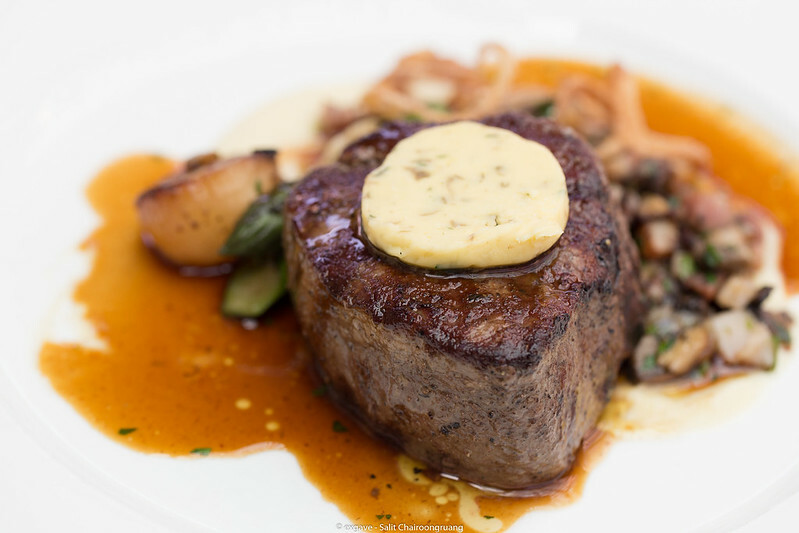 Let’s commerce the main dish, tenderloin with asparagus and herd butter was served. The fillet was tender and flavourful. Simply delicious!! The butter gave a second dimension of aroma to the dish which was pleasant. After finishing my juicy tenderloin, it is surely my pleasure to have desserts. I ordered 2 of them. 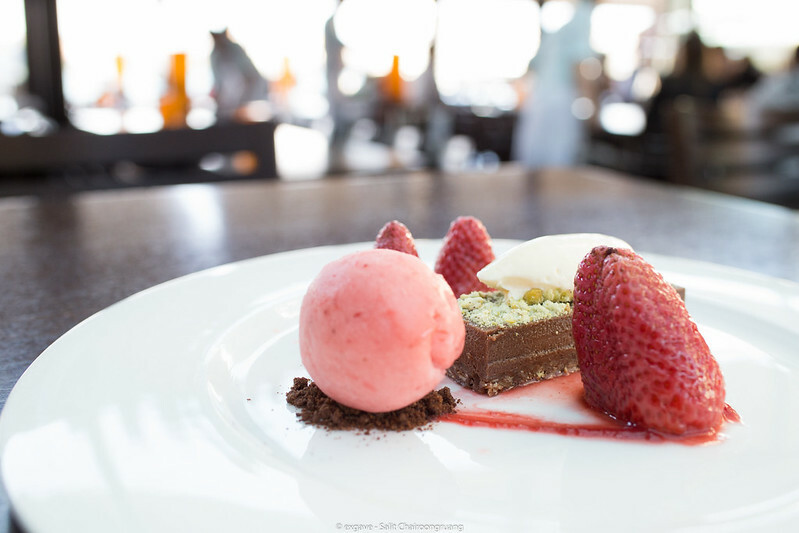 The first one is double chocolate slice, pistachio crumble, strawberry sorbet and crème fraiche. It was a classic combination of thick and creamy chocolate, crunchy nut and berries and Café Sydney did it extremely well. Crème frau fraiche helped berries balance creaminess from chocolate. What a great dish it was. 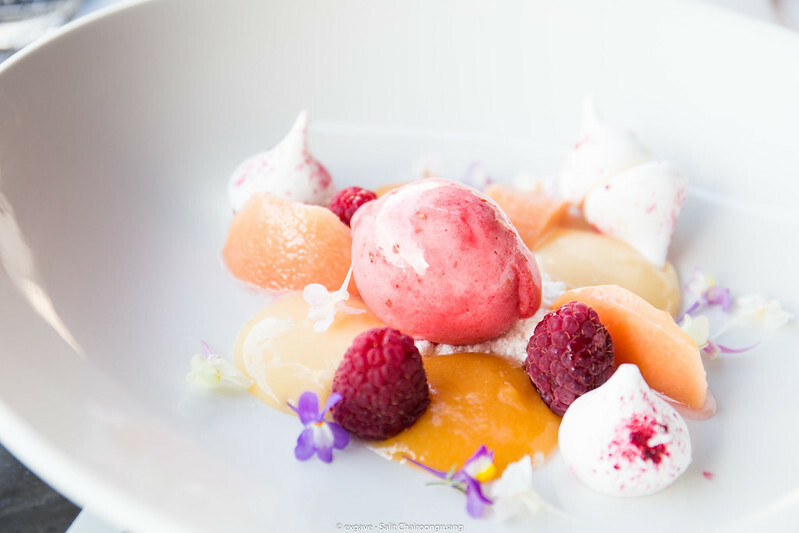 Last but not least, finale dessert, raspberry sorbet, lemon and passion fruit puree, poached peach and raspberry meringue, was placed down. Refreshing dessert it was. Be noted that the last dessert is a special menu on the day I visited. Lastly, I ordered petit fours to end the meal. 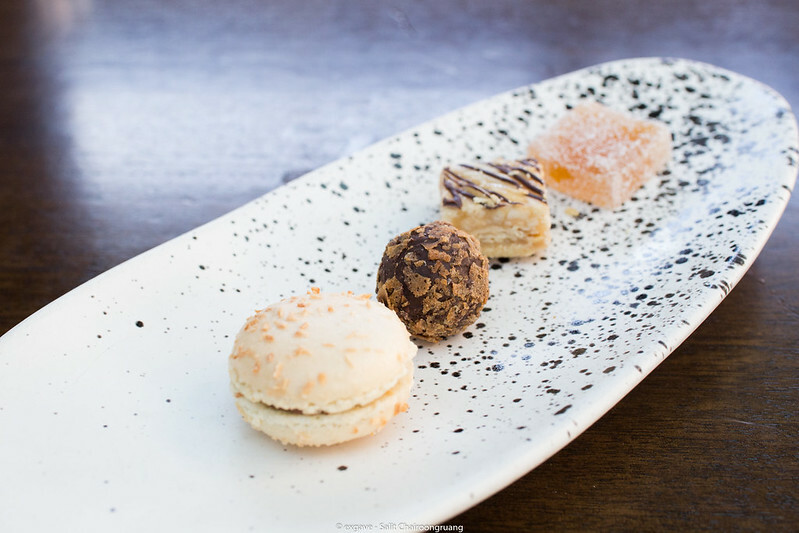 Petit fours set consists of one mini macaron, one chocolate truffle, mini peanut bar and passion fruit jelly. 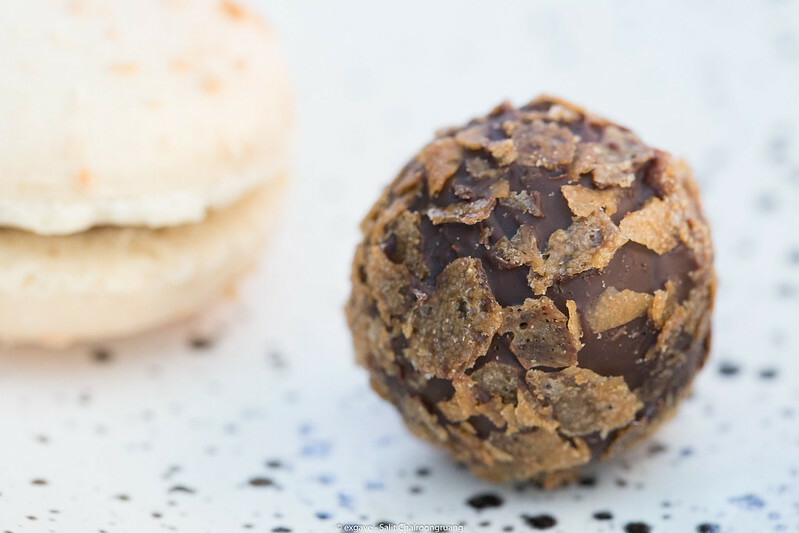 The best went to chocolate truffle; not overly sweet.